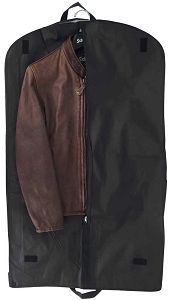 For those smooth leather items such as motorcycle jackets and new boots that are just too stiff to be comfortable. 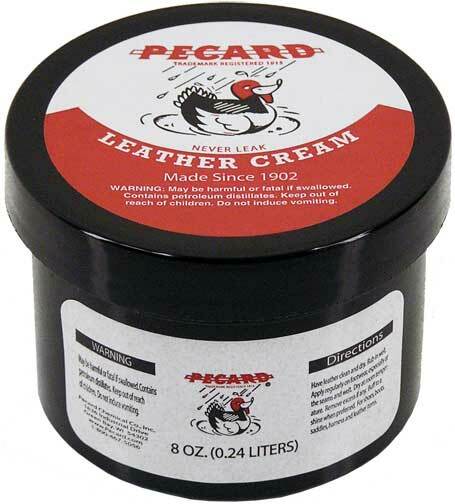 Use Pecard Jell Dressing for the initial 2-3 times you condition the leather or until the leather relaxes to the point of your liking then continue to condition with Pecards Classic Leather Dressing from that point on to prevent over-saturation. Since this product is not of the same density as the Classic Leather Dressing it can be over applied if you are not careful. 8 oz container. Apply a thin coat of the cream dressing with your fingers or a clean, lint free cloth. Allow enough time for the cream to be absorbed by the leather. If all or most of the cream has been absorbed, apply another treatment in the same manner. When a small amount of dressing is left on the surface of the leather, take a clean, soft cloth and remove any excess.